Covington's Greenline Salon and Bellevue's 501 Salon & Spa will join Aveda in raising $6 million for clean water. 501 Salon will also be celebrating its third anniversary. Greenline Salon has set a fundraising goal of $2,000 and will participate in a Global Cut-A-Thon and Beyond on Monday, April 7, 2014. 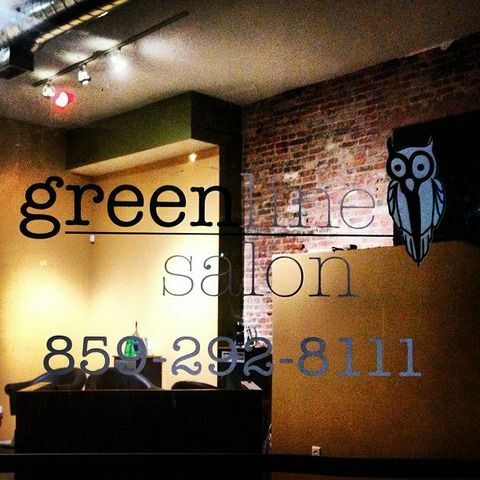 Greenline Salon encourages all to bring a guest to the event to help Aveda reach its $6 million goal. Aveda stylists in salons worldwide will volunteer their time to offer haircuts and beauty services in return for a donation to Earth Month, a simple and beautiful way for their guests to actively care for the environment. 501 Salon owner Kate Moeves noted that in the economic downturn, to have a business turn three is an accomplishment. "I am so proud of what 501 Salon & Spa has become in three short years! I am beyond humbled and grateful for the local support," she said. "My favorite feeling is walking into my shop each morning and getting it ready for the day in hopes that each guest and team member can enjoy it as much as I do." Aveda professionals in more than 30 countries have collectively raised more than $32 million for in support of Earth Month since the campaign’s inception in 1999. Beginning in 2007, Aveda has donated Earth Month proceeds to organizations working to combat the clean water crisis – to date more than $26 million have been directed to support hundreds of clean water projects on six continents. Funds raised by Greenline and 501 will benefit the Northern Kentucky chapter of the Sierra Club – a charity that advocates for solutions to prevent waterway pollution – which works locally to protect or rivers, streams, tributaries, and wetlands across the state. Greenline has partnered with Pike Street's BLDG to create a Covington-themed rain barrel that will be raffled off. Tickets will cost $1 apiece. The team at 501 Salon has also created a hand-painted rain barrel for which raffle tickets will be available at $1 each. By donating $12 at 501, you will receive an Aveda Earth Month Candle. Moeves is also excited about helping the clean water cause. "Our team came up with the perfect theme for our rain barrel," she said. "It reflects how clean water is so important to our economy and livelihood. From the beautiful hills of Kentucky to our great river cities, clean water allows us to grow and put fresh food on our table, to participate in PaddleFest on the river, and to wash hair every day at our salon. I am looking forward to raffling off the rain barrel so someone can enjoy all its benefits in their own backyard." 501 will celebrates its third anniversary on Friday, April 4 where the public can enjoy refreshments, 10% off all Aveda products, and a chance to win door prizes. Then on Saturday, April 12, two models from 501 will walk the runway at Cocktails for a Cause at Obscura in Downtown Cincinnati (645 Walnut Street) where they will show off their nature and clean water-inspired, hand-crafted garments created with recycled Aveda product packaging, hair color tubes, and fabric. 501 Salon & Spa is located at 501 Fairfield Avenue in Bellevue and Greenline Salon is located at 201 West Sixth Street in Covington.